Pretty Little Liars season 6B – everything we know so far! Pretty Little Liars returns in January for the second half of its sixth season, known as 6B, and the action will have jumped 5 years forward. In the summer finale, A was finally unmasked as CeCe Draka aka Charles DiLaurentis aka Charlotte DiLaurentis (Vanessa Ray). Alison (Sasha Pieterse) and Jason’s (Drew Van Acker) brother turned sister was the person who has been tormenting the liars for the past 6 seasons and she’s now safely behind bars. When we return to Rosewood Emily (Shay Mitchell), Hanna (Ashley Benson), Spencer (Troian Bellisario), Aria (Lucy Hale) and Alison will have spent some time apart as they each pursued their own dreams. Emily has been travelling, Hanna has started a career in fashion, Spencer is climbing the ladder of politics in Washington DC, and Aria is working in a publishing company with Ezra (Ian Harding) but the two are no longer together. 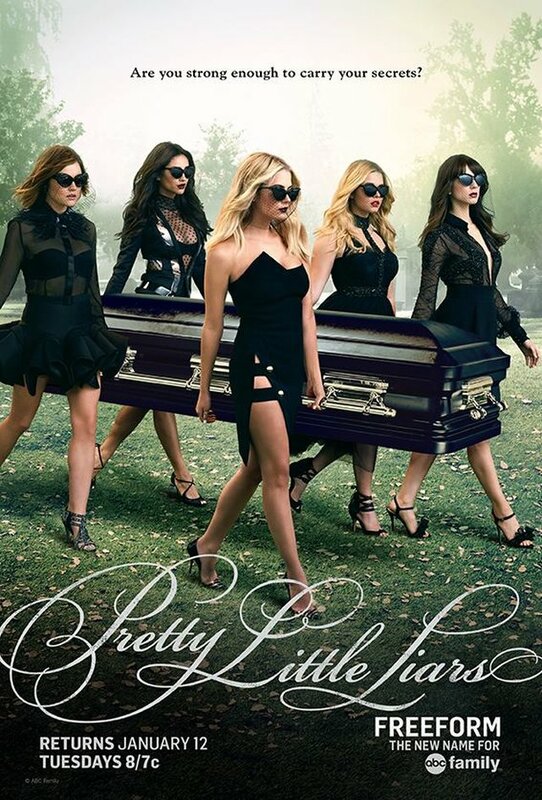 Pretty Little Liars returns to Freeform on 12th January 2016 in the US and on Netflix on 13th January 2016 in the UK.